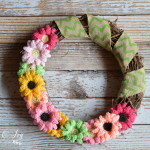 I’m Marie from Underground Crafter, and today is the last in a series of posts for creating a sampler pillow that will help you take your knitting skills beyond the basics. 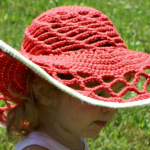 If you can cast on, knit, purl, and bind off, you can make this project! 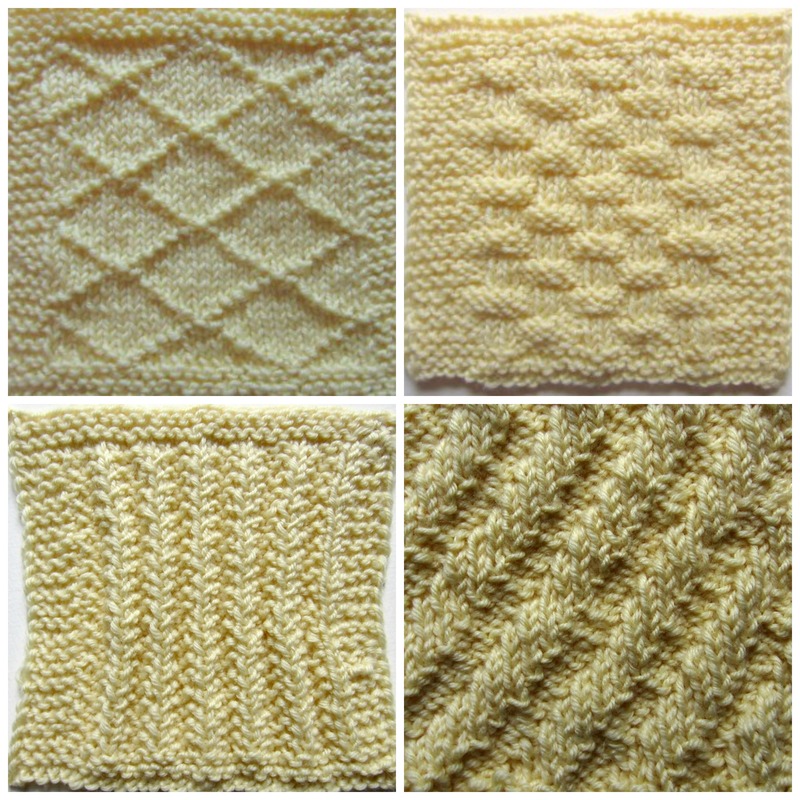 If you’re new to this series, be sure to find the patterns for each of the sampler squares by following the links below. 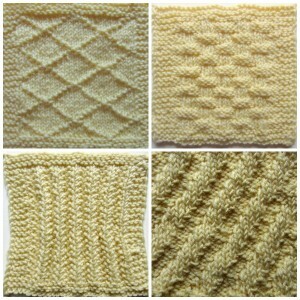 You will need to make 2 of each square for the sampler pillow. 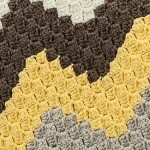 You will also need a 12″ (30.5 cm) pillow form to cover and a yarn needle. 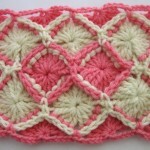 Start by arranging the sampler squares in a 2 x 2 pattern. 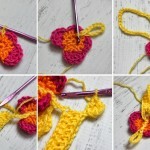 You may want to repeat all four patterns on both sides, or use just two patterns on each side. 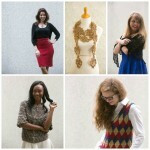 It’s your sampler, so choose the look that you like the best! Once you have your squares positioned, you’ll join them together using the mattress stitch. Start with two squares facing right (front) side up, in the same positions you’d like them to be once joined. Thread a yarn needle with the long yarn tail from the bind off edge of your square, or if you’re using a fresh piece of yarn rather than the tail from the finished square, remember to leave a 4″ (10 cm) yarn tail to weave in later. For this tutorial, I used a contrasting color of yarn, instead of the yarn from the bind off edge, so the process would be easier to see. 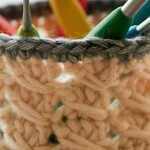 Since this creates an invisible seam, you will probably want to use the same color yarn as your squares. Step 1: Insert the threaded yarn needle into the top loop of the first stitch on the bottom of the left square. 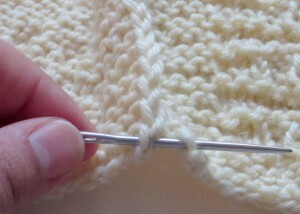 Step 2: Moving from left to right, insert the needle into the top loop of the first stitch on the bottom of the right square. Step 3: Pull the yarn through both loops firmly, but not so tightly that you pucker the fabric. 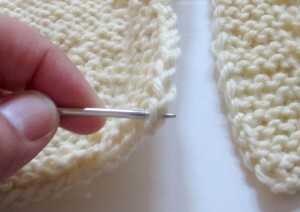 Step 4: Continue on to the next set of stitches, working from left to right. Each square may not have the same number of stitches, so to work evenly across, you may need to insert the needle into the same stitch on one side but into more than one stitch on the other side to keep the join even. 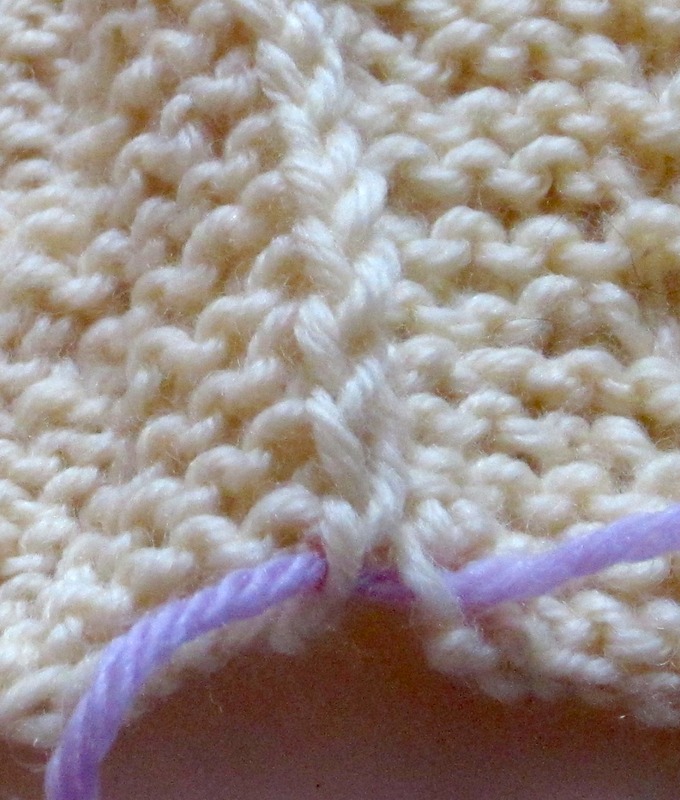 On the front side, the seam will be invisible if you use the same color yarn! 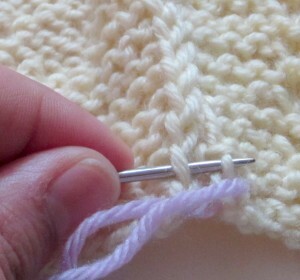 Don’t forget to use the yarn needle to weave in the tails from the seam on the wrong side. 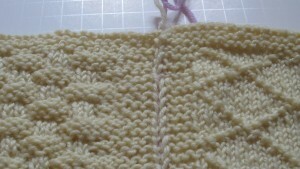 Use the mattress stitch to join a row of two squares to another row to complete the front, and repeat for the back of the pillow. To complete the cover, use the mattress to join the pillow around three sides. Turn it right side out, and insert the pillow form. 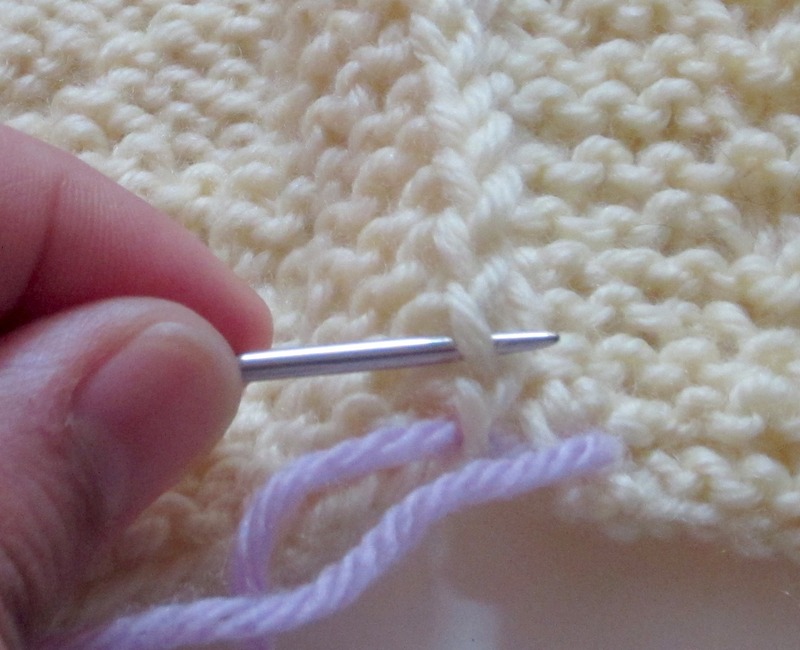 With the yarn needle, seam the final edge with a whipstitch join on the right side. 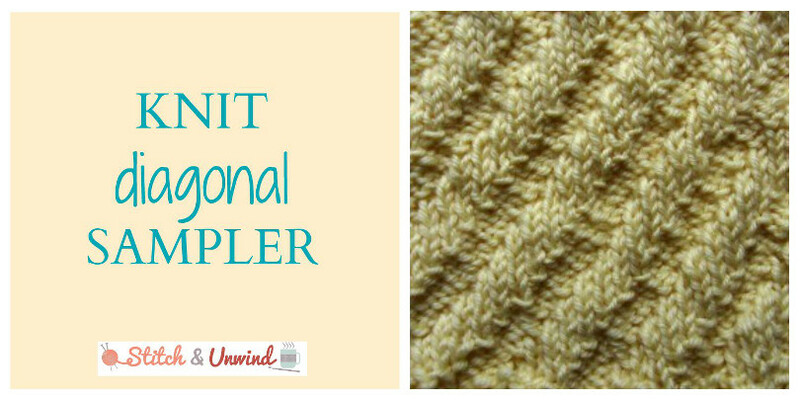 You can find a whipstitch tutorial here. 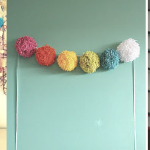 Which of these four patterns is your favorite?